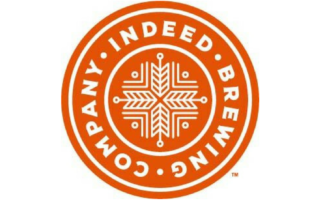 Indeed Brewing Company was founded by Rachel Anderson, Nathan Berndt, and Tom Whisenand, and sold its first beer in August of 2012. Nestled alongside the train tracks in the heart of the Northeast Minneapolis Arts District, Indeed is a full-scale production brewery led by Head Brewer Josh Bischoff, with an artfully eclectic line-up of distinctive flagship beers, well-loved seasonal releases, and adventurous specialty brews. Its diverse offerings are anchored by its flagship Day Tripper Pale Ale, and rounded out by the “brewer’s choice” Derailed Series of experimental brews, and the Wooden Soul series of wild, sour, and barrel-aged beer. Well-known locally as an engaged and community-oriented brewery, Indeed has two lively taprooms, open five days a week and home to Indeed We Can, the company’s employee-driven charitable giving program, which donates 100% of taproom profits to an employee-sponsored local nonprofit every Wednesday of the year. There’s more to explore at www.indeedbrewing.com. We are thirsty creatures, Indeed.